The heart of a great PCP system is the pump. The team at MANTL has designed a completely new line of Progressing Cavity Pumps. Using the knowledge gained from decades in the field, our proprietary pumps are engineered for maximum efficiency and long run life. Besides the elastomer selection itself, an optimum rotor stator fit is required to assure sufficient run life. 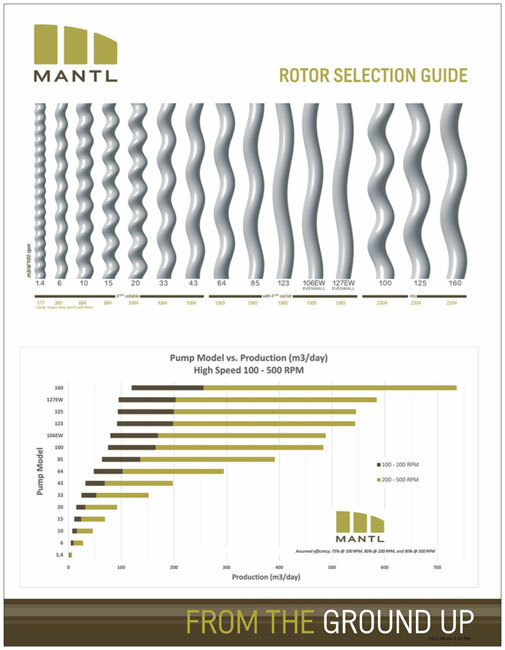 For MANTL PC Pumps, each combination of rotor & stator is intended to be matched to downhole conditions to provide a highly efficient operation and optimum production enhancement. The compression fit between rotor & stator is designed to control fluid slip - although moderate slippage is required to cool and lubricate the rotor/stator contact surface. The moderate slippage will reduce internal friction and provide excellent volumetric efficiency without compromising pump run life. At times it is better to use an elastomer that is more susceptible to swelling but retains better mechanical properties. Other factors such as abrasion, gas, and temperature resistance may be key for a specific application. The factor that is closest to the maximum operating envelope may or may not be the most important. It takes an experienced PCP engineer to match the right pump to your well conditions. 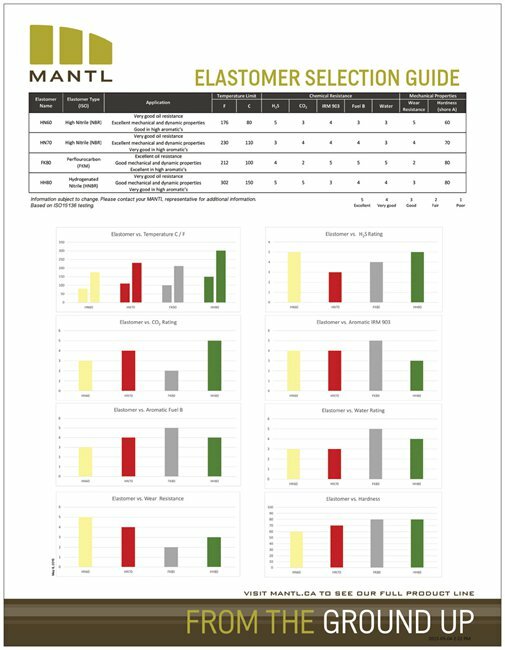 MANTL develops solutions from the wellhead back.